The remaining books from Jack's collection will be on sale at our Open Day at Leigh Library on Saturday 28th January 2017. Please note that some have already been sold. 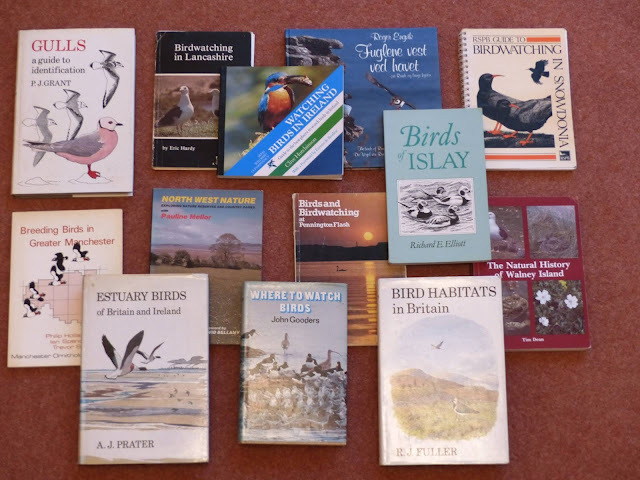 Members and other readers are informed that Jack Critchley, a Society stalwart for many years, has decided (for personal reasons) to dispose of his collection of bird books. He and Doris have asked me to arrange to sell several books in the collection by means of advertising the sale through the pages of this site, the Society's November newsletter and the Manchester Birding Forum. Once interested buyers have seen the attached list of about half the collection, I will receive bids by telephone on 01942 605627 between 7.00 and 9.00 p.m. on Wednesday 23rd and Thursday 24th November. To ensure that everybody has an equal opportunity to express an interest in purchasing books, there will be no preferential arrangement for anybody to make bids before those days, but potential buyers may examine the full collection at my house and at my convenience. All the proceeds from the sale will go to the Society. 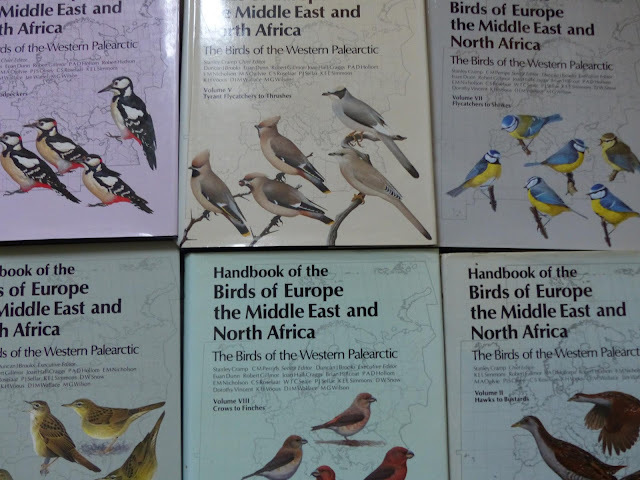 Individual books will be sold to the highest bidder, but the prize item - all nine volumes of 'Handbook of the Birds of Europe, the Middle East and North Africa : The Birds of the Western Palearctic' in excellent condition - will not be sold piecemeal. Hardy, E - 'Birdwatching in Lancashire' (1979). Loose pages! Wilson, J.D. (LOS member) - 'Birds and Birdwatching at Pennington Flash' (1985). C.G.Booth - 'Birds in Jura' (1976) Only 7 pages of text! D.Saunders - 'Where to Watch Birds in Wales' (1987). Unsold books, and twenty other unlisted ones, will be available for viewing at the L.O.S. Open Day at Leigh Library on 28th January 2017. Happy perusing, thinking and spending !! !